i) Nawab Salima Banu Begum Sahiba. m. at Delhi, 28th June 1672, Shahzada Muhammad Akbar Mirza (b. at Aurangabad, 21st September 1657; d. at Farah/Garmsir, Persia, 22nd March 1706, bur. Mashhad), fourth son of H.M. Al-Sultan al-'Azam wal Khaqan al-Mukarram, Abu'l-Muzaffar Muhi ud-din Muhammad Aurangzeb Bahadur 'Alamgir Padshah Ghazi, Emperor of India, by his chief consort, Shahzadi Dilrus Banu Begum Sahiba alias Rabia Daurani, elder daughter of Shahzada Badi uz-Zaman Mirza [Shah Nawaz Khan] of Persia. She d. after August 1719, having had issue, one son - see below. ii) Nawab Fatima Banu Begum Sahiba (?). m. at Delhi, 1678, Khwaja Baha ud-din, son of Khwaja Parsa, by his wife, a daughter of Subhan Quli Khan, of Balkh. She d. November/December 1706.
c) Shahzada Sultan Mumtaz Shikoh. b. at Agra, 16th August 1643 (s/o Nadira Banu Begum). He d.v.p. near Sirhind, 6th December 1647 (bur. Lahore). i) Shahzada 'Ali Tabar Mirza. b. at Delhi, 23rd July 1676 (s/o Zubdat un-nisa Begum). He d. there aged six months, December 1676.
b) Shahzadi Pak-Ni'had Banu Begum Sahiba. b. 5th September 1641 (d/o Nadira Banu Begum). c) Nawab Jahan Zeb Banu Begum Sahiba [Jani Begum]. m. at the Mansion of Shahzadi Jahan Ara Begum, Delhi, 15th January 1669, H.M. Padshah-i-Mamalik Muhammad Shahid 'Azam Shah-i-'Ali Jah, Emperor of India (b. at Burhanpour, 11th July 1653; d. at Jajowan, 8th June 1707), third son of H.M. Al-Sultan al-'Azam wal Khaqan al-Mukarram, Abu'l-Muzaffar Muhi ud-din Muhammad Aurangzeb Bahadur 'Alamgir Padshah Ghazi, Emperor of India, by his principal consort, Nawab Rabia uz-Zamani Begum Sahiba, elder daughter of Shahzada Badi uz-Zaman Mirza, Shah Nawaz Khan, of the Safawi dynasty of Persia. She d. at the Bagh-i-Shahi, Ahmadabad, before 24th March 1705 n.s. (bur. Mausoleum of Qutb ud-din, Shahjahanabad, Delhi), having had issue - see below. d) Shahzadi Amal un-nisa Begum Sahiba. a) Shahzada Sultan Zain ud-din Muhammad Mirza. b. at Rajmahal, Bengal, 28th October 1639 (s/o Piari Banu Begum), educ. privately. Appointed to an Imperial mansab of 7,000 zat and 2,000 sowar 21st January 1656. Cdr of his father’s forces 1658-1659. Imprisoned by King Sandathudamma after the murder of his father on 7th February 1661, but later released. m. at Patna, February 1659, a daughter of Khanlar Khan Qaramanlu, Zulfiqar Khan, sometime Governor-General of Shirwin, in Persia. He was k. (beheaded with a blunt axe) at Mrohaung (Mrauk-U), ca 25th July 1663, following an abortive rescue by the Subadar of Bengal. c) Shahzada Sultan Zainal 'Abidin Mirza. b. at Rajmahal, Bengal, 20th December 1645 (s/o Piari Banu Begum), educ. privately. Imprisoned by King Sandathudamma after the murder of his father on 7th February 1661, but later released. He was k. (beheaded with a blunt axe) at Mrohaung (Mrauk-U), ca 25th July 1663, following an abortive rescue by the Subadar of Bengal. a) Shahzadi Dil Pazir Banu Begum Sahiba. b. 1633 (d/o Bilqis Begum). c) Shahzadi Raushan Ara Begum Sahiba [Mah Khanan] (d/o Piari Begum). She d. by suicide, taking poison, at Mrohaung (Mrauk-U), ca 25th July 1663.
d) Shahzadi Amina Banu Begum Sahiba (d/o Piari Begum). m. at Mrohaung (Mrauk-U), July 1663, H.M. The Lord of the Golden House, Sanda Suriya Dharmaraja [Shwenanthakhin Sandathudamma Raza], Emperor of Pegu, King of Arakan, Chittagong, Tandjur, Dianga and other places in Bengal (b. 1627; d. at Mrohaung (Mrauk-U), 1684), son of H.M. The Lord of the White Elephant, Sadhu Mangtara [Hsinpyuthakkhin Thadoemongtara], Emperor of Pegu, King of Arakan, Chittagong, Tandjur, Dianga and other places in Bengal, by his wife, the daughter and heiress of uncle, King Narapdigyi. She k. (allowed to starve to death while presumed pregnant with child), by King Sandathudamma after he had divested her of her father’s remaining treasure, at Mrohaung (Mrauk-U), Arakan, ca 1666. 3) Sultan Muhammad Aurangzeb Bahadur, who succeeded as H.M. Al-Sultan al-'Azam wal Khaqan al-Mukarram, Abu'l-Muzaffar Muhi ud-din Muhammad Aurangzeb Bahadur 'Alamgir Padshah Ghazi, Emperor of India (s/o Arjumand Banu Begum) - see below. 5) Sultan Ahmad Bakhsh [alias Ummid Bakhsh?]. b. near Sirhind, 18th December 1619 (s/o Arjumand Banu). He d.v.p. at Burhanpur, February/March 1622. 6) A s/o Arjumand Banu. b. at Mandu, late 1622, but died before being named. 1. Afzhar uz-Zamani Begum Sahiba. b. ca. 1830. She d. after 1862. 1. Mirza Muhammad Nasir ud-din [Chujju Sahib]. b. ca. 1799. m. (first) Sohag un-nisa Begum Sahiba (b. ca. 1800; d. after 1862). m. (second) Ladhu Khanum (b. ca. 1801; d. after 1862). He d. after 1862. 2. Mirza Muhammad Ashraf. m. (first) Rahim un-nisa Begum Sahiba (b. ca. 1801; d. after 1862). m. (second) Rahim un-nisa Begum Sahiba (name?) (b. ca. 1808; d. after 1862). m. (third) Karim un-nisa Begum Sahiba (b. ca. 1808; d. after 1862). He d. after 1857. 3. Mirza Muhammad Ramazani. A Poet under the nom de plume of Hairat. 1. Mehr Afruz Banu Begum Sahiba. b. ca. 1829. She d. after 1862.
i. Farkhunda Begum Sahiba. b. 1868.
i. Mirza Muhammad Rahim ud-din. m. Bulaq un-nisa Begum Sahiba (b. ca. 1818; d. after 1862). 1a. 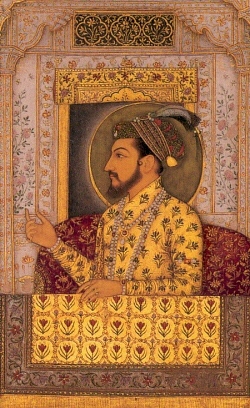 Mirza Sultan Zahir ud-din. 1. Afzal un-nisa Begum Sahiba. (a) Iffat un-nisa Begum Sahiba [Jahan Naz Begum] (d/o Aziz un-nisa Begum Sahiba). m. (first) at Delhi, 6th April 1739, H.R.H. Shahzada Nasru'llah Mirza (b. at Abivard, 1724; was k. on the orders of 'Adil Shah, at Mashhad, July 1747), second son of H.M. Hast Sultan bar Salatin-i-Jahan Shah-i-Shahhan Nadir Sahib-i-Qiran, Shahanshah of Persia, by his second wife, Gauhar Shad Begum, daughter of Baba 'Ali Beg-e Kusa Ahmadlu, Governor of Abivard. m. (second) H.M. Padshah Durr-i-Durran Ahmad Shah, Padshah of Afghanistan (b. at Herat, 1722; d. 16th October 1772), third son of Muhammad Zaman Khan, Governor of Herat. She had issue - see Persia (Afshar) and Afghanistan (Durrani). (1) Aziz un-nisa Begum Sahiba. m. Sultan Muhammad Yazdan Bakhsh Bahadur, son of her paternal uncle, Sultan Dadar Bakhsh Bahadur - see above. b) Shahzadi Dostdar Banu Begum Sahiba. m. at Delhi, 26th December 1672, as his third wife, Shahzada Sultan Muhammad Mirza (b. near Mathura, 19th December 1639; d. in confinement, 5th December 1676), eldest son of H.M. Al-Sultan al-'Azam wal Khaqan al-Mukarram, Abu'l-Muzaffar Muhi ud-din Muhammad Aurangzeb Bahadur 'Alamgir Padshah Ghazi, Emperor of India, by his second wife, Nawab Bai Begum Sahiba, daughter of the Raja Chatar Shena [Taj ud-din Khan], Raja of Rajauri, in Kashmir. She d. at Lahore, 2nd March 1676 (?) - see below. c) Shahzadi Asaish Banu Begum Sahiba. m. at Delhi, 25th September 1672, Khwaja Salih, elder son of Khwaja Muhammad Tahir Naqshabandi. She d. at Delhi, 5th June 1678.
d) Shahzadi Hamraz Banu Begum Sahiba. m. at Delhi, 1678, Khwaja Yakub (d. 23rd April 1685), younger son of Khwaja Muhammad Tahir Naqshabandi. 8) Sultan Lutfu'llah Mirza. b. at Thatta, 4th November 1626 (s/o Arjumand Banu). He d.v.p. at Akbarabad, 14th May 1628. 2) Shahzadi Par Parhiz Banu Begum Sahiba. b. at Akbarabad, 22nd August 1611 (d/o Kandahari Begum). She d. unm. at Delhi, October/ November 1675 (bur. there). 3) Shahzadi Hur un-nisa Begum Sahiba. b. at Akbarabad, 30th March 1613 (d/o Nawab Aliya Begum). She d. from smallpox, 15th January 1619. 4) Shahzadi Jahan Ara Begum Sahiba [Nawab ‘Aliya Padshah Begum Sahiba] [Sahibat uz-Zamani]. b. at Ajmer, 1st April 1614 n.s. (d/o Nawab Aliya Begum), educ. privately. Received Achhrol, Bacchol, Safipura, Dohraha, Farjahara and Panipat in jagir from her father. Granted the titles of Begum Sahib, Padshah Begum Sahiba 1665, and Nawab ‘Aliya during her lifetime and given the posthumous title of Sahibat uz-Zamani after her death. Author of “Risala-i-Sahibiya”, “Munis ul-Arwah”, etc, She d. unm. at Delhi, 16th September 1680 n.s. (bur. there at the Tomb of Jahan Ara Begum, Nizamuddin). 5) Shahzadi …Begum Saiba (d/o Chamani Begum). She d. from smallpox, 1616. 6) Shahzadi Roshan Ara Begum Sahiba [Dahr Ara Begum]. b. at Burhanpur, 23rd August 1617 o.s. (d/o Nawab Aliya Begum), educ. privately. She d. unm. at Delhi, 24th September 1671 (bur. Roshan Ara Bagh, Sabzi Mandi). 7) Shahzadi Soraya Banu Begum Sahiba. b. 10th June 1621 (d/o Nawab Aliya Begum). She d. unm. from smallpox, at Akbarabad, 28th April 1628. 8) Shahzadi Husn Ara Begum Sahiba. b. at Burhanpur, 23th April 1630 (d/o Nawab Aliya Begum). She d. shortly afterwards. 9) Shahzadi Roshan Rai Begum Sahiba, Shah Begum Sahib (cre. 1669). b. at Burhanpur, 7th June 1631?? (d/o Nawab Aliya Begum). Instrumental in the murder of her brother, Dara Shikoh, in 1659. 10) Shahzada Dahar Ara Begum Sahiba [Gauhar Ara Begum]. b. at Burhanpur, 17th July 1631 n.s. (d/o Nawab Aliya Begum). She d. at Delhi, 1706. 11) Shahzadi Purhan Ara Banu Begum Sahiba. She d. after 1666. 12) Shahzadi Nazar Ara Begum Sahiba .